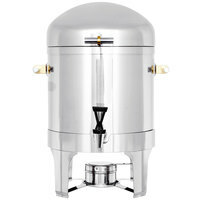 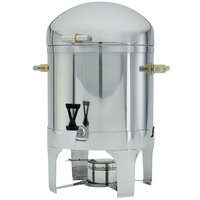 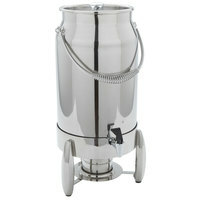 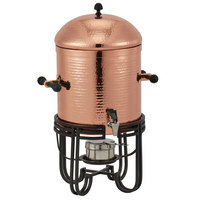 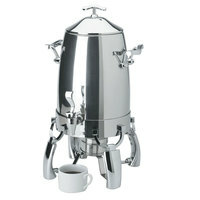 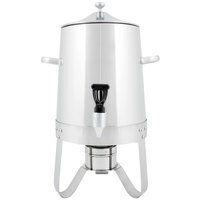 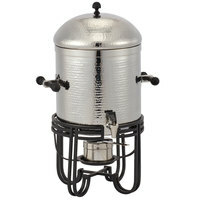 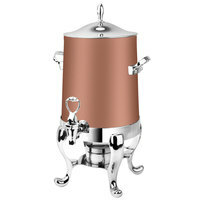 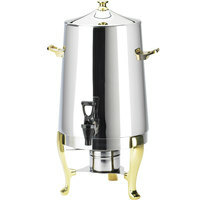 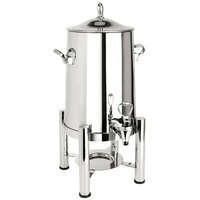 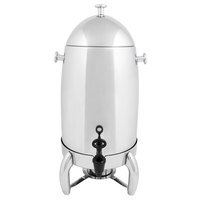 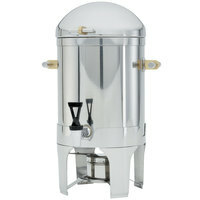 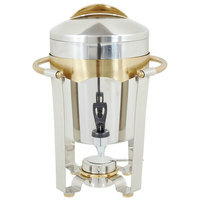 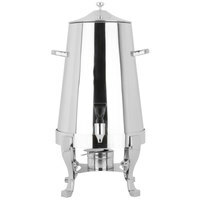 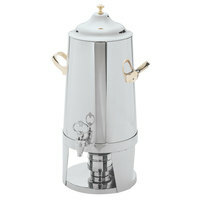 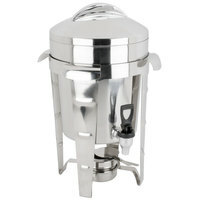 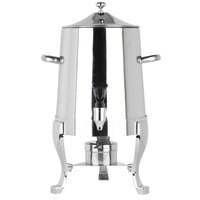 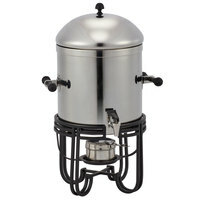 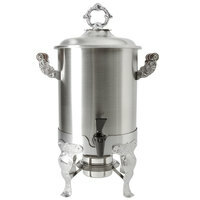 A coffee urn is a popular beverage serving option for hotels, buffets, and catered events. 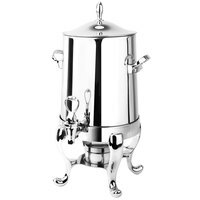 These urns are designed to hold coffee and hot water for tea, while maintaining a more traditional appearance than modern dispensers. 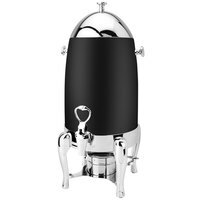 Each unit features a spigot that is elevated off the tabletop, allowing guests to easily fill their cups at their own convenience. 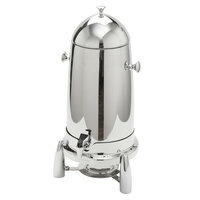 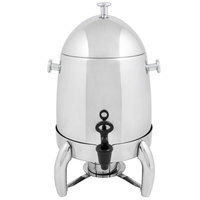 Choose from options of various capacities to find the best hot beverage chafer for your low or high volume needs. 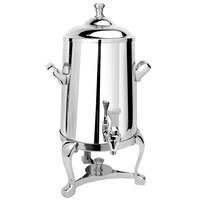 To keep contents in your coffee chafer hot for hours at a time, simply place a chafing dish underneath the body on the fuel dish holder. 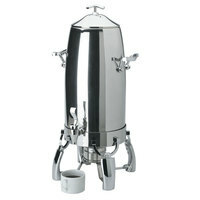 Select styles offer additional insulation to hold liquids at hot serving temperatures for even longer. 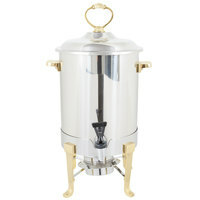 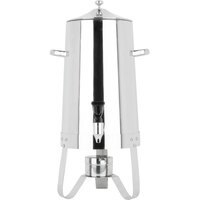 Each hot beverage urn also features a sleek stainless steel construction, and you’ll find select styles with gold accents to use in formal settings.